Faulkner gives two reasons here that illuminate the desperate need for more faith and work initiatives throughout North America. The first is a simple matter of time. Work is how we spend our lives. Eating, drinking, making love – one could add exercising, going to church, or watching football – all make up only a small fraction of our lives in comparison to work. If Christian discipleship doesn’t extend to our working lives, then it simply doesn’t touch the largest part of human life. Although I can’t substantiate this claim with research, I think I’m on safe ground saying that most people see work as something to escape from as soon as possible. For most, their careers or jobs are not their vocations, but simply a means to end, whether that end be money, leisure time, or another job. 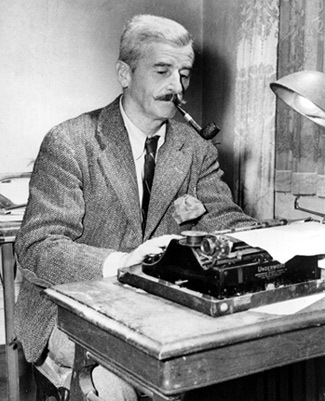 This desire to escape leads to “boredom, a lack of purpose, and a passivity which eats life away at the heart” – the core ingredients in Faulkner’s recipe for misery and unhappiness. So the question is this: can we really claim to be shaping believers for Christian maturity if we never mention their work? Can we really claim to be equipping the saints for mission with an array of elaborate ministries if we ignore both where people spend the majority of their days as well as one of the great causes of frustration and unhappiness in human life? Of course, I think Faulkner was missing a key element of work in his diagnosis, namely, hope. We are hope-shaped creatures, and the Christian faith gives us a supreme hope because of Jesus’ resurrection from the dead. Discussion question: Do you think Faulkner is right, that most people’s jobs are a source of unhappiness? Also, do you know of intentional efforts in your neighborhood that seek to integrate faith and work in practical ways? If so, what are they? What has been helpful? Great quotation from William Faulkner, which reminds me that I need to read a novel from him someday. I hear he’s a difficult read. I grabbed this quote from Studs Terkel’s amazing book, Working. Have you ever read it? It’s a profound picture of American life.